At Drapers Mills Primary Academy we expect good attendance and punctuality. 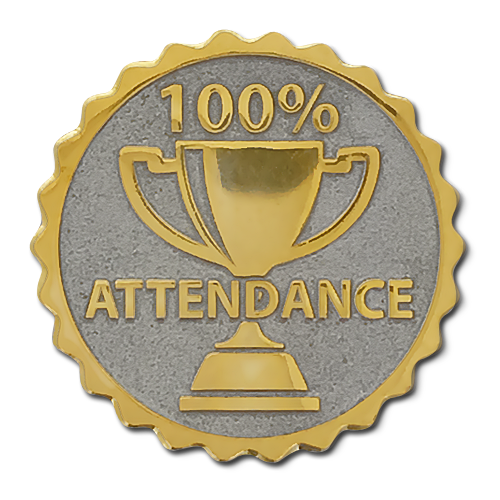 Our aim is for 100% attendance and punctuality. 1. Telephone the school on 01843 223989 and press option 1 before 9.30 am to report your child absence. 8. If your child has a well known childhood illness, contact the school for advice on recovery time. We have all the up to date information. 9. Ensure your child is not late for school and arrives in time for registration, by 8.45am when early morning activities are set in class. 10. Please contact Miss Pollard, the school's attendance officer, on 01843 223989 for any queries or further support. Her attendance rate is always around 90%. Her mum thinks this is pretty good! So, what does an attendance rate of 90% look like? 90% attendance means that she is absent for the equivalent of one half-day every week. Absent half a day every week! In Year 1 Mary's attendance rate means that she has missed the equivalent of four whole weeks of lessons in the school year. The school year is made up of 190 days. How much education has your child missed?